So, what’s the most fun thing to do while waiting for your own ARCs to be available? 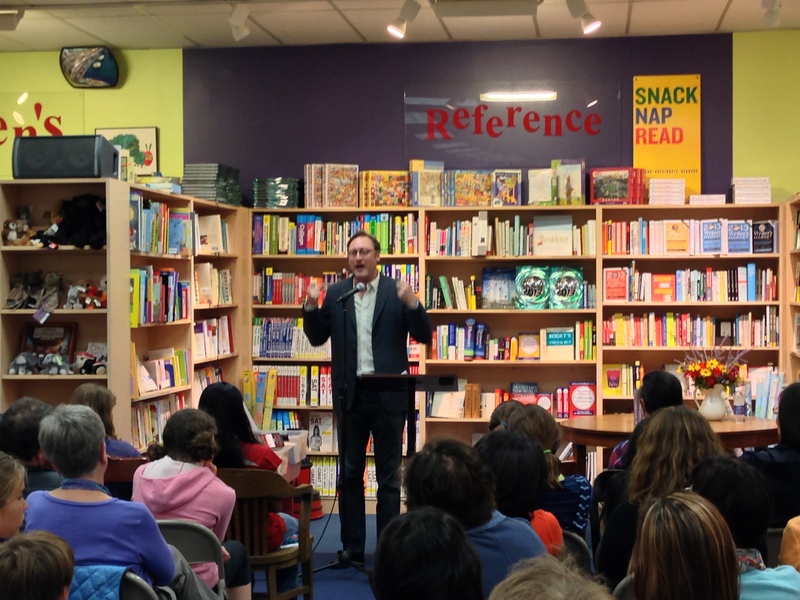 Go to an awesome event hosted by a local indie bookseller where kids are pre-reading and reviewing other people’s ARCs! 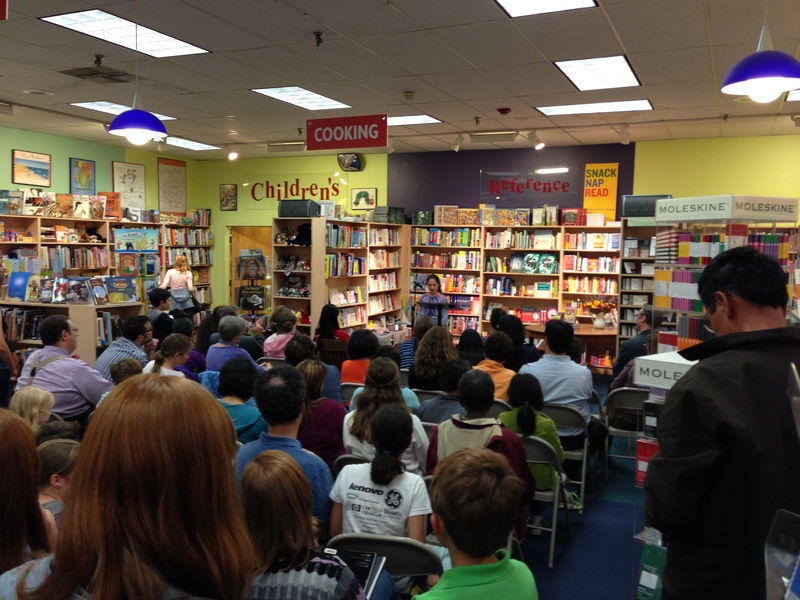 A kid speaks to a packed audience at Porter Square Books about the awesomeness of the Fresh Ink program. Funny story of the night award goes to M.T. Anderson, who told the story of his oddest fan letter. That letter came from a (very annoyed) governor of Delaware who’s address Mr. Anderson used in his book Jasper Dash and the Flame Pits of Delaware… as the contact address to which readers should address any “factual inaccuracies.” Turns out there aren’t that many flame pits in Delaware and the governor was getting a lot of mail! The Fresh Ink Awards event was a bubbly mix of enthusiasm and polysyllabic words from seriously book-loving kids! A big thanks to everyone involved for a great evening! You are like a magnet for finding interesting events!! I think you need to have a “heads up” section on your blog for people without a divining rod for cool happenings (me), Tara. Ha!